reclaim your life and Freedom! Easy to read on your mobile devices. Do these 2 reasons affect your business too? Use the information to turn your failing business into a SUCCESS! 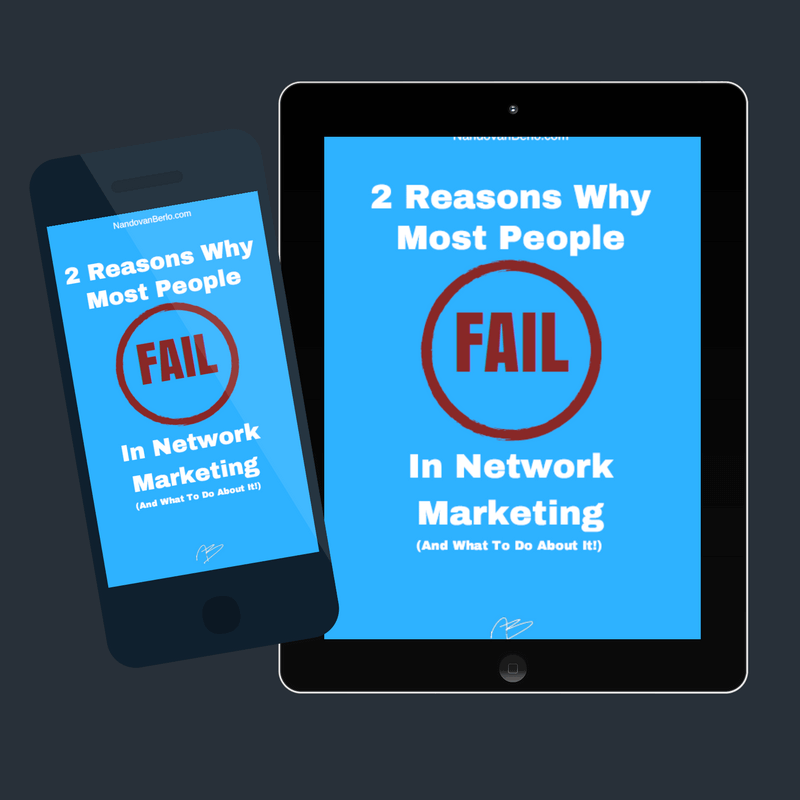 ‘2 Reasons Why Most People FAIL In Network Marketing’? Fill Out The Form and I’ll Send It To You! Let Me Be The First To Read It! We hate SPAM and we know you do too! Nando is a skilled trainer with a good understanding of MLM businesses. A joy to work with in any capacity. Nando is my personal mentor. He is patient, understanding and will stay up until all hours of the night answering your questions and helping you to complete any projects you are working on. He possesses a vast amount of knowledge in the MLM industry and will not only save you when you are sinking fast but will have you sailing in smooth waters right on course to where ever your destination may be in no time. Whether you are just starting out in MLM and confused by the whole thing or have been around the block a time or two and are frustrated with your lack of success, Nando is the mentor you are seeking. Nando is a man of ACTION and the God of online mlm / network marketing and commited for YOUR success, IF you are the right person ready and to be personally coached/mentored by the top notch! He is Mr Solution and is a creative genius in network marketing… Nothing can stop this Nando guy, because he fears nothing! Learn more about MLM/Network Marketing. Go to my blogposts for more in depth information!.